Perhaps there will be beer labeling? Earlier in the Spring the federal government went ahead with the new ingredient labeling law with the noticeable exception of beer. 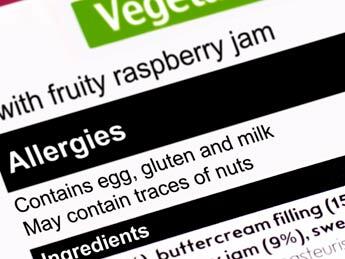 Those in the allergic community cheered the changes which would see it mandatory for food products to be labeled with the most common allergens, including gluten, by August 2012. Despite 10 years in the making of the regulation, the beer industry started a last minute lobby against the regulation which threatened to derail the entire effort. To its credit, the government went ahead with the regulation, but provided an exemption for beer. There may now be some hope for allergic beer consumers. The attached letter from Minister of Health Leona Aglukkaq suggests that the government is in consultation with the beer industry and that the final regulations will be well received by Canadians. Let’s hope that’s the case so that beer lovers too can know exactly what is in their beer. If you are like me, you are shocked that after 10 years in the making of the new label law, the beer lobby, at the 11th hour, is complaining about the proposed new regulations. Their complaints threaten to throw off labeling legislation which we understood to be imminent. Honestly, how big of a deal is it to phase in new labels on your products when it means so much to others health? Sheesh! They could have started years ago on their own initiative to better serve their customers. I urge you to take the time to contact your local Member of Parliament about this. Here are some email addresses for you. Just click on one and start typing! Below is a well crafted letter sent by our very own Angela Petrie to give you some inspiration. My family lives in Kelowna and we are therefore your constituents. Ron, we corresponded before about the importance of passing this allergy law and Stockwell, I started drafting an email to you but never got around to finishing it. Attached is a press release from the Canadian Celiac Association. I am the “BC member” that they are quoting in the Release. My daughter Hannah is 6 years old. Eating gluten-free is Hannah’s ‘medicine’. As long as she adheres to the diet she is a happy, healthy, thriving child. I would classify myself as an expert (not by choice) in reading labels and making sure that there is no gluten around her. Hannah has her own Tupperware containers, toaster, even the dishwasher soap I use is gluten-free! If she is exposed to so much as a crumb of gluten we have weeks of hell that follow. It starts with digestive upset and vomiting. She curls up in the fetal position for days. Once that passes the behavior issues and insomnia arrive. How long that lasts varies from 1-3 weeks – she misses school, has huge temper tantrums and becomes an insomniac. She misses school, I miss work, she gets down about being a celiac. Following this diet is extremely expensive. I cannot afford to miss work and I worry about Hannah missing big chunks of school time when she gets older or on a semester system. The only time Hannah is ‘glutened’ now is through hidden sources (not clearly stated on a label) or cross-contamination. This law has been in the works for 10 years. To think that a beer company can put the lives of so many at risk is ludicrous. This is just the life of a celiac. What about those who have anaphylaxis to other common food allergies. Food allergies cost the government a lot of money in lost taxes and increased doctor visits/hospital stays. This law is too important to not pass because of the interests of ‘big business’. Food allergies are ‘big business’ in so many other ways – and can have life and death consequences. Please contact me and let me know your stance on this issue and how you will be voting on this issue. Stockwell, it is my understanding that this was delayed at the ‘treasurer’ level in early January. This email, in part, is what I was going to put forth to you! I look forward to hearing your responses to this. If you think I’m full of hot air, please tell me so using the comment section below.